It’s June. 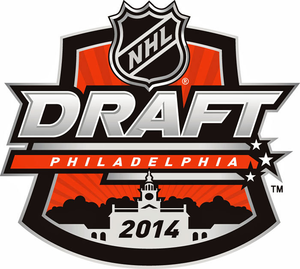 The calendar pages have flown by, and the 2014 NHL Draft is nearly upon us. The draft hopefuls have played their games and done what they can do at the combines and in team interviews. All that’s left is the choosing. And it’s also time for the final installment of the 2014 NHL Draft Alternate Rankings. Now in their second year here at The Hockey Writers, the Alternate Rankings are designed as a complement to senior draft analyst Chris Ralph’s The Next Ones rankings and Eastern draft analyst Eldon MacDonald’s War Room rankings. The 2014 NHL Draft arguably boasts no “generational talents.” And if you’re looking for a selection that’s clear-cut anywhere in this draft, quit now. The 2014 Draft has a little of everything, but you really need to know what you want before you hit the draft floor. The lack of super-elite prospects is likely why this year there have reportedly been more discussions about picks at the top-end being traded than in a long time. Regardless of any jockeying, there’s a fairly clear, general demarcation in the draft. Four (Ekblad, Reinhart, Bennett, Draisaitl) to six (add in Dal Colle and Ritchie) players in the top tier. Another 10-12 players a notch below the top tier. Another 20-30 players a notch below that tier. To be blunt: based on scouting reports, stats sheets, talking to sources around hockey and sometimes just a gut feeling, the Alternate Rankings are who I would pick drafting a team from scratch. I don’t necessarily downgrade players based on risk, but on some level you need to weigh a player’s likelihood of NHL success versus their success in major-junior, college or Europe. You’re not drafting players for what they are now, you’re drafting them for what they can become, so how close they are to being the end-product does factor in. I’m based in Western Canada, so I see more WHL players than I do any other league. This may make me overly harsh or overly kind to them, depending on the player – I’ve seen a lot of Jake Virtanen, and I’m still not sure if I’m over or underrating him, for example. I tend not to draft goaltenders early, as I feel like there’s a greater degree of variation in result with goalies and I’d rather not use an early pick on one. And compared to the actual draft results from the past several years, I tend to underrate defensemen. Feel free to share your thoughts in the comments or on Twitter @RyanNPike. Check out 2013’s Final Alternate Rankings. Ekblad is big, strong and very mobile. He’s already played three full OHL seasons (he was granted exceptional status to get drafted early) and has emerged as an on-ice leader and one of the OHL’s best rear-guards. The youngest of former NHLer Paul Reinhart’s three sons, Sam is likely the most talented. He’s a strong all-around player in all areas, but boasts elite-level on-ice awareness and thinks the game at a whole other level. Scouts joke that he seems to know where all players (on both) teams are on the ice at all times, and he can read the flow of a game and adjust exceptionally well. He’s not huge, but Bennett plays like he’s bigger. Compared by scouts to Doug Gilmour, Bennett is a hard-nosed player with a lot of talent. Good in every area, Bennett’s grittiness and aggression separate him from the pack. The top North American skater according to NHL’s Central Scouting. The slick German center has really impressed this year. He’s a excellent play-maker and boasts a big frame that allows him to go anywhere on the ice to make things happen. He’s not an amazing defensive player – he’s decent but the guys ahead of him are better – but he was good enough overall to play against grown men at the World Championships and do well. Dal Colle has a lot of potential. He’s got a big frame and doesn’t play overly physical (yet), but he moves well and is strong in all areas of the ice. His offensive game may be a tad underrated even, as he put up a lot of points rather quietly. The players listed above may be closer to NHL-level talents offensively, or in terms of awareness, or in terms of two-way play. But Nick Ritchie is a bull in a china shop and already has an NHL body and the rest of his game is rapidly improving. Big, mean and a prototypical power forward. Consistency is the only main thing holding him back. Okay, he’s small. And he played on Jonathan Drouin’s team, albeit not usually on his line. But the diminutive Dane had just insane offensive numbers and an underrated two-way game. If he can fill out a bit, he’ll be very dangerous as a pro. A defenseman’s defenseman, Fleury is a strong stay-at-home player who plays a smart, simple game very well. His offensive side is coming along nicely as well, but his bread-and-butter is his defensive zone play. One of the older players in the draft, this dynamic Russian has emerged as an offensive threat in the OHL. He was one of the better players at the Top Prospects Game, generating a lot of scoring chances against the best defenders of his peer group. Son of NHLer Sami Kapanen, Kasperi plays a very similar game. He’s a strong two-way player with some upside. Produced well in Finnish juniors and against his age group at U18s, but was merely “fine” in the Finnish pros. But remember – he was 17 playing against men. Speedy Russian has a big frame and a lot of talent. Very productive in the Q, less of a factor at World Juniors. Size may be a concern, but few players work harder or play bigger than Fabbri. He more than doubled his offensive output from last year nearly based on sheer force of will. Son of NHLer Michael Nylander, William has the talent and creativity to be a reliable pro already. His physical development isn’t quite there yet, and him bouncing around teams last year raised questions about his maturity. Perhaps this year’s answer to Curtis Lazar, Bleackley is a leader, a strong three-zone player and a very consistent player. One of the stars of the Top Prospects Game, this Russian import was the pulse of a thin Blades team in his first year in North America. Plays strong in offensive zone and is adjusting quickly to defensive side of North American game. He’s got size and he’s well-rounded. He’s doesn’t seem to be elite-level at anything, but he has few weak areas, if any. His dad played 8 games for the Leafs. He’s not huge, but he’s smart, talented and adaptable. Played in the pros, the World Juniors and the World Championships and never looked out-of-place. Small for a blueliner, but he moves well and is strong with the puck, particularly as a puck distributor. Blessed with great size and a lot of raw talent. If he can polish his game a bit, could be a late-round steal. He’s not physically imposing, but McCann plays a strong three-zone game. Great stick-handler who’s very creative. He’s not huge, but that hasn’t been a problem yet. Less flashy than Milano, Larkin’s arguably more well-rounded. Good at everything, could become great at a few things with time. Began the year as a question mark, but showed rapid improvement. Big, strong, smart defensive player whose offensive game is coming along. Considered a boom-or-bust kid. He’ll either make the GM that takes him look smart…or he’ll be playing in Europe or the ECHL in short order. Consistency is his main problem, as he’s got a lot of talent. Excellent as a junior, played decently well but didn’t produce much in pro stint. Will need filling out, but he’s already got a good shot and a nose for the net. Big frame and very good positional defender. Skating needs work, but he is college-bound and Wisconsin is good at producing NHL blueliners. Played a lot of hockey at a lot of different levels. Was solid if unspectacular as a 17-year-old in Sweden’s secondary pro league. Little brother of Blues prospect Jordan, he went on a scoring tear in the USHL. Needs some filling out physically, but is a great offensive talent. In alphabetical order, 10 players that will likely go immediately after the first round. Audette, Lemieux and MacInnis are all sons of former NHLers. My best estimate is that Demko will be the first goaltender taken given how prominent Boston College’s strong play made them this season. Donato is a sleeper – incredibly skilled with the puck but playing at a prep school.